Alexander Brookes provides training in Leadership, Management, Business and Finance for public and private sector organisations. 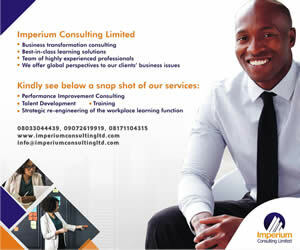 We also provide consultancy in building human capacity, economics, energy and international development. Our trainers have many years of experience and significant knowledge and skills in their subject areas and they help to make Alexander Brookes one of the UK’s leading sources of expertise in developing capacity in organisations. Our regular clients include the Central Bank of Nigeria, Debt Management Office (DMO), Federal Road Safety Commission (FRSC), National Agency for the Control of AIDS (NACA), Petroleum Technology Development fund (PTDF), National Information Technology Development Agency (NITDA) and Standard Organisation of Nigeria (SON) among others. Alexander Brookes also has valuable experience in delivering training to World Bank development partners and we keep to rigorous standards that have helped us to grow from strength to strength since we started. Alexander Brookes’ courses use a combination of real life experience, case studies and clear realistic examples with a practical, rather than theoretical, focus. Our expert trainers draw on their broad and deep experience to provide you with thought-provoking and motivating presentations to equip your key personnel. Our aim is to help delegates successfully implement their acquired knowledge and utilise their new found skills within the delegate’s organisation. In order to achieve this, we offer a free follow-up service for delegates with all our courses. If the training options within our brochure do not fit your needs or if you are looking to train a group of staff, perhaps on your own premises, then you may want to consider having a course or service tailored to your specific needs. Alexander Brookes has extensive experience of designing and delivering tailored programmes and services for various categories managers and leaders within the public and private sector. Whatever your training needs Alexander Brookes can develop a training package to meet your individual specifications. 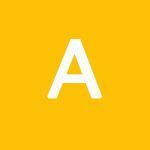 Alexander Brookes is accredited by the British Accreditation Council for Independent Further and Higher Education as a Short Course Provider. BAC Certificate.